Ashdown Lodge houses our youngest pupils aged three to five. Standing in its own purpose built outdoor environment with purposeful and plentiful resources – yet close enough to Bronte House to share their facilities when required - Ashdown Lodge is the perfect place for a child to begin their Woodhouse Grove journey. We have created a bright, colourful, warm and caring environment in which children can learn and thrive. Our dedicated and highly qualified staff team look after and work with the children from the moment they arrive to the moment they leave. This consistent approach keeps our pupils happy and safe and enables us to know all our children individually, making sure that all their needs are met. We have two nursery classes and two Reception classes, in order to allow for smaller class sizes and more individual attention for each child. All meals and healthy snacks are provided and served in a ‘home style’ environment by practitioners that the children know well. Our premises are secure, safe and well maintained. The indoor classrooms include well defined areas for the children to explore and investigate freely. 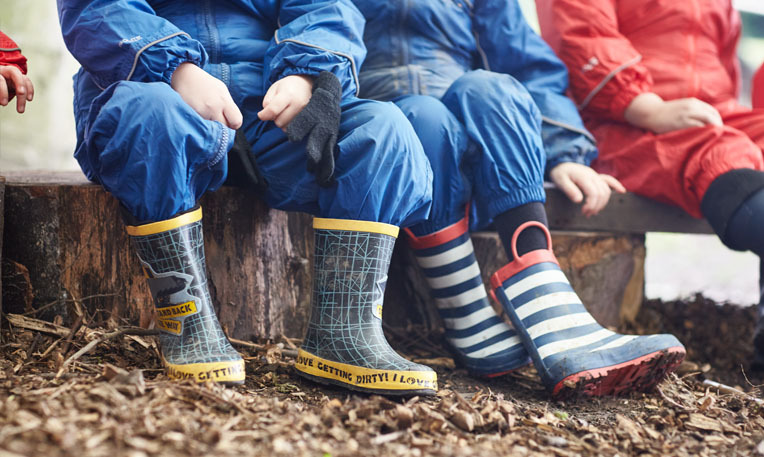 Our award winning outdoor environment provides a large and varied space with a stream, woodland area, climbing equipment, a stage, sports areas and even a pirate ship in which they can play and learn. We also have a newly developed Bushcraft space where the children can take part in more specialist ventures. We offer extended hours on top of the teaching day whereby children can arrive at school from 7.30am, if care is needed from this time. After school care runs until 5.55pm, during which children are offered a light sandwich tea and a range of additional activities.